After watching the ITV Tonight show on Thursday 23rd Jan titled “rise of the e-cigarette” there seems to be a lot of negativity towards e-cigarettes, so thought would give my opinion on them. Well first I did think the itv tonight show was very bias against the sale and use of e-cigarettes, but that is like any TV show at the moment, sensationalize a story and really only give one view as this will draw more viewers in as more people talk about it, channel four do this a lot with their so called documentaries. First things first the main health problem with smoking cigarettes is the tobacco and smoke, not the nicotine in them. The nicotine is the drug that really gets you hooked to smoking. 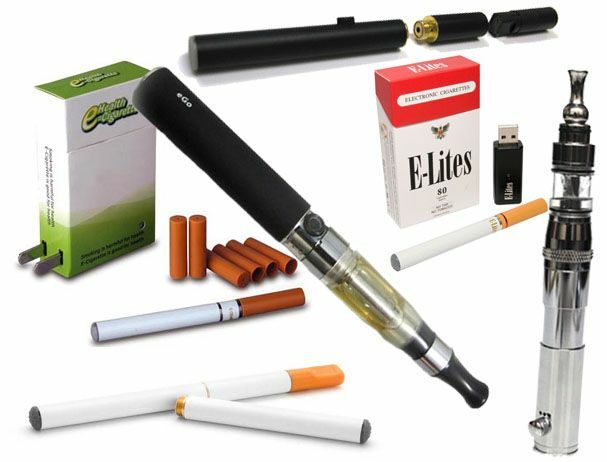 With electronic cigarettes they don’t contain the tobacco or produce smoke the vapor that comes from them is basically steam which is produced by heating up a liquid that them produces what looks like smoke, most e-cigs do contain the nicotine if they didn’t why would a smoker want to use them, as we use them to take the craving away the same way as gums and inhaler’s do. They can also contain flavors to make them taste better including coffee, strawberry, cherry, mint etc. So really as far as I know no harmful chemicals to the user or anyone else for that matter. The one thing though myself I didn’t realize is there is no age restriction on the sale of electronic cigarettes, so any one can buy them even a child, which I really do think is wrong so when I wrote about the smoking regulations HERE this would be one of the good things that come from it not allowing the sale of ecigs to under 16s, though I asked my local shop if they our sell the brand of ecigs the they sell which is the sky cig and they said no way would they sell them to children or under that age as they classed them the same as normal cigarettes, the same as a few other shops. Though few days after this the government decided to stop the sale of these to the under 18’s which again I do agree with this. The one thing that I can’t get my head around is that official bodies saying that not enough research has been done in e-cigarette use, well why not as these have been around now for at least 5 years that I know of, as I bought one of the early electronic cigarettes in 2007 which cost nearly 5 times the amount they cost at the moment. So before trying to scare the public that includes people using them and even the general public as this will make the general public to be honest scared if someone I using one around them, research does need to be done soon than later. Again this goes to bars and pubs, ie wetherspoons chain of pubs banned the use of them, according to them it is because the staff can’t tell the difference between a ecig or a real fag, now how stupid is this as yes some do look like normal cigarettes, but first they glow different colours ie blue, green etc, so there is a visual clue and the other is that they don’t smell at all. Weatherspoons are not the only place to ban them on most trains and station you can’t use them, again this is because they say people can’t tell the difference, well this is were public perception need to change but programs like the itv one really giving e-cigs a bad reputation don’t help at all, and interviewing a woman because her husband died and could be related to him using a e-cigs for 8 months, but now this is coming from a smoker what about all the damage he had done to his body and lungs in all the years of him smoking, really couldn’t that have contributed to his death, but no the program made it like it was just the electronic cigarette that case his death. And as far as I know from the research I have done no one has died because of the use of a e-cig. On one news article I have read that was published at the time wetherspoons banned the use of these the comments from people were bad in that one person said that two loud lads at a bar were vaping on e-cigs and this caused a problem, well really that is to do with them being loud and disruptive not the fact they were using e-cigs. And another said why would they breath the vapour, well first it is only water vapour and second I could say they same if someone in a pub had bad b o, or someone was eating something that I didn’t like the smell, would I say to them don’t eat that as I don’t like the smell. So really what I am trying to say it works both ways. Now I like using my electronic cigarette that looks like a normal cigarette as I does help me not to smoke, but some of the new ones look nothing like a cigarette at all, so to how anyone can get confused with these to a normal cigarette is beyond me. My view is that first the research need to be done instead of scare mongering without facts, and if there are no problems with using them then we need to change public perception to them, though I have read reports and polls to say that most people don’t mind others using e-cigs in public places, so I really do hope this stays the same, but doing TV shows that only give one view without evidence does not help at all. I welcome your comments on this as these are my view and everyone is entitled to their own view. Next story Using A iPad or Tablet As A Camera Why!